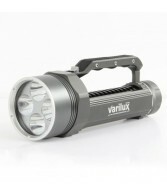 The new Varilux Travel has an increased output, useful new features and the same car charging capability that made the original Varilux Travel so popular. 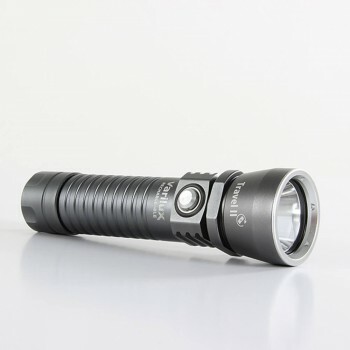 The Varilux Travel II R’s output is controlled via a magnetic induction switch. 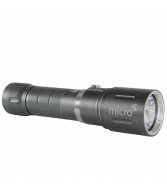 Pressing once switches the light on at full power – 1000 lumens’ worth. At this point, output can be gradually decreased by pressing and holding the switch. When the required output is reached, releasing the switch will maintain this output. Pressing once more switches the light off. Burn time at 1000 lumens is an impressive two hours. At the lowest setting of 80 lumens, burn time is 40 hours. When the torch is in use, the ring around the switch emits a constant green light. When the torch is not in use, this light flashes once every 5 seconds. 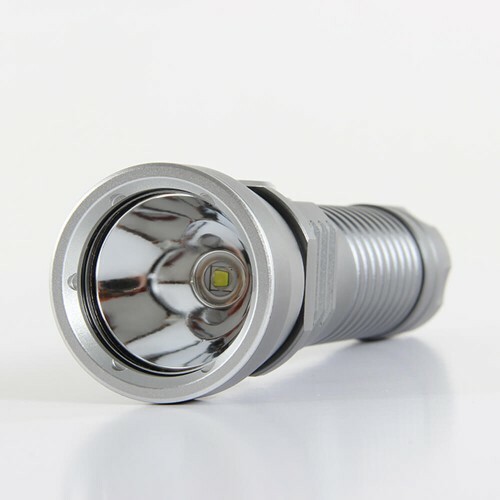 This is to help the user locate the torch when diving, for example in darkness or if it is dropped. Additionally, the light will turn red when approximately 20% of the battery’s charge is remaining. 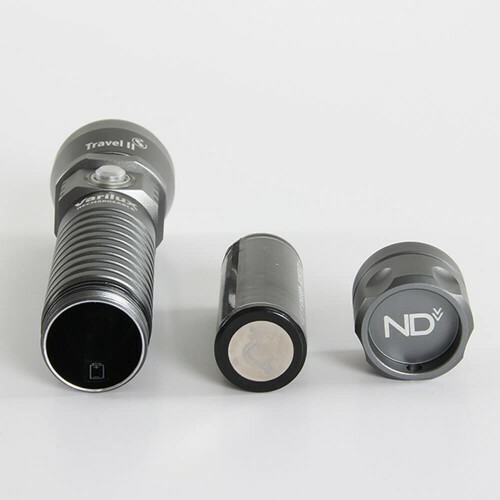 When the torch is stored after diving, the battery must be removed to ensure the power is cut off. The Travel II R is supplied with an Xtar MC1 Plus intelligent USB battery charger and an adapter for charging from a car power outlet. 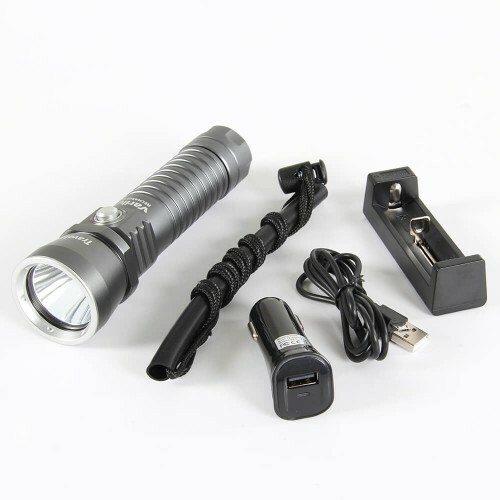 A rechargeable 26650 Li-ion battery is also supplied, along with a lanyard, a container of lubricant for the torch’s two opening points, which are located at both ends of the handle. 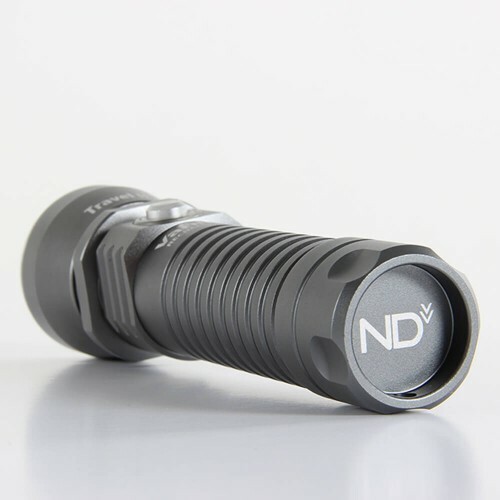 Both opening points are double O-ring sealed, and the torch is tested to 100m.